All Rileyville homes currently listed for sale in Rileyville as of 04/25/2019 are shown below. You can change the search criteria at any time by pressing the 'Change Search' button below. If you have any questions or you would like more information about any Rileyville homes for sale or other Rileyville real estate, please contact us and one of our knowledgeable Rileyville REALTORS® would be pleased to assist you. "Shenandoah River Retreat with over 1200 feet of river frontage for all your recreational fun and relaxation ! Lower level is currently in a rental program and seller reserves the main living area or this could be rented also. A Money Maker !" "Brown Bear Retreat is your perfect haven, a spacious and comfortable home to base out of or just relax in place. 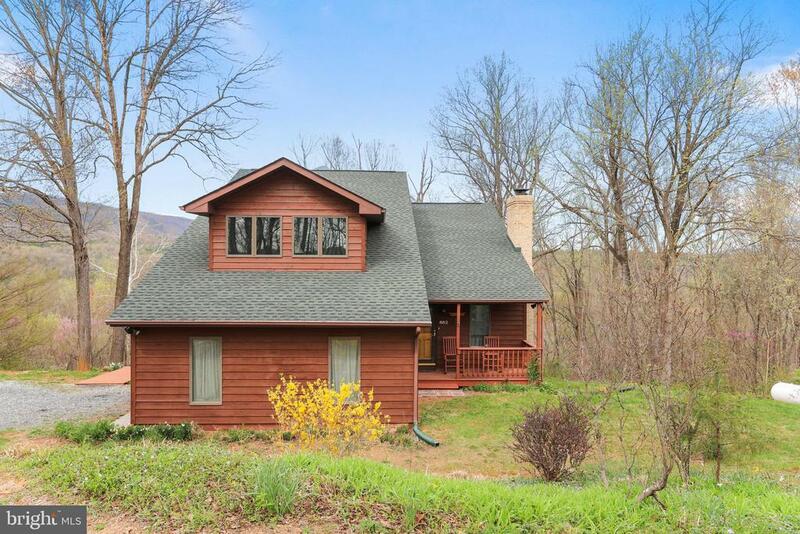 Set on a ridge overlooking the Massanutten range with a beautiful 15 mile view. The river whispers and shadows play over the mountains, birds flitter, hummingbirds spar and eagles soar as you wind down on the large, full length deck overlooking the 8 acres of this beautiful property. One of our favorite activities in winter is to sit in the spa and watch the snow flurries blow over the mountain and ridges, then come inside for a cup of hot chocolate in front of a dancing fire. Sit on the deck and enjoy hours and hours of nature, peace and enjoy what God has blessed us with." "Brown Bear Retreat is your perfect haven, a spacious and comfortable home to base out of or just relax in place. 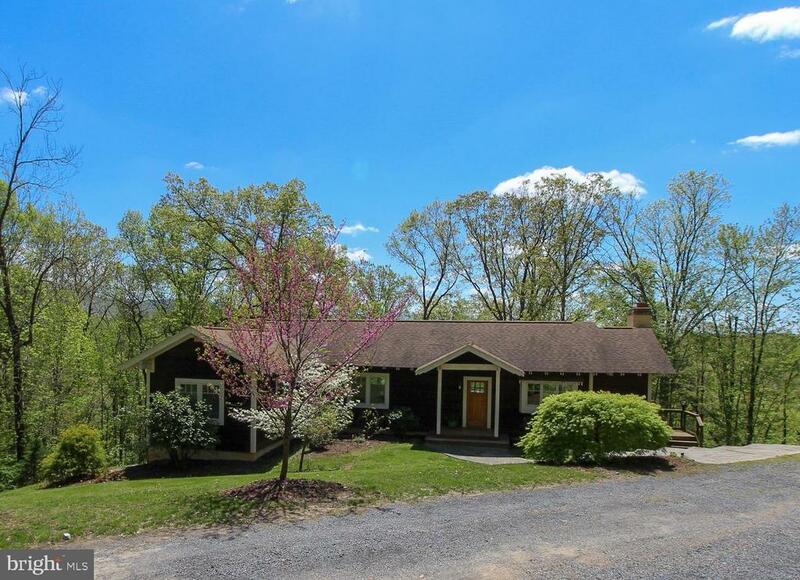 Set on a ridge overlooking the Massanutten range with a beautiful 15 mile view. The river whispers and shadows play over the mountains, birds flitter, hummingbirds spar and eagles soar as you wind down on the large, full length deck overlooking the 9 acres of this beautiful property. Enjoy the same mountain views from the Sundance Maxxus Spa. One of our favorite activities in winter is to sit in the spa and watch the snow flurries blow over the mountain and ridges, then come inside for a cup of hot chocolate in front of a dancing fire. 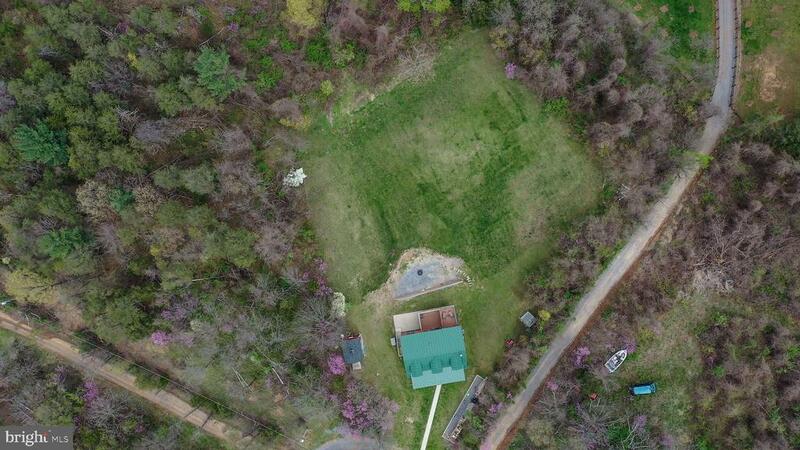 Additional 5 acre adjoining parcel also available." 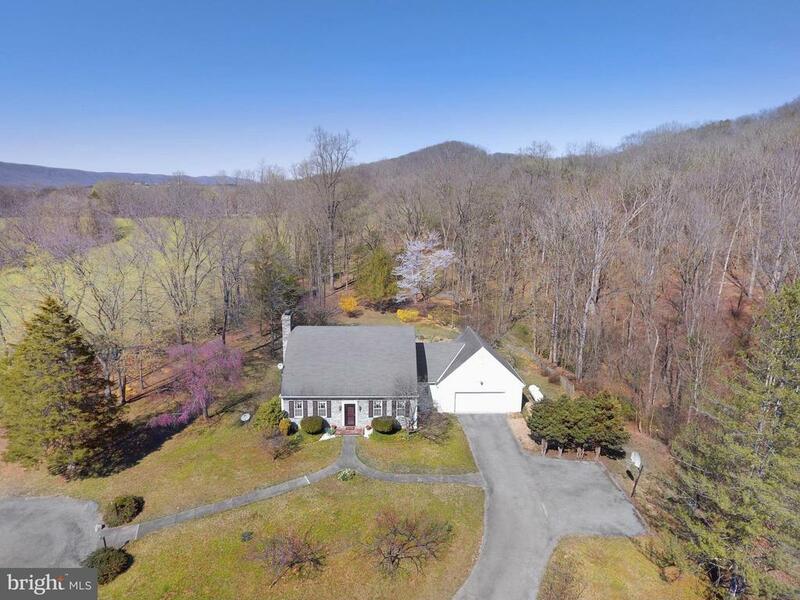 "This custom built home is located a mile from the Shenandoah River! Open floor plan w/ tons of natural light, large living/dining combo, gourmet kitchen w/ unique concrete counters & large breakfast island. First floor master w/ soaker tub, massive closet & private porch. Large finished basement w/ 12' ceilings offers endless possibilities. 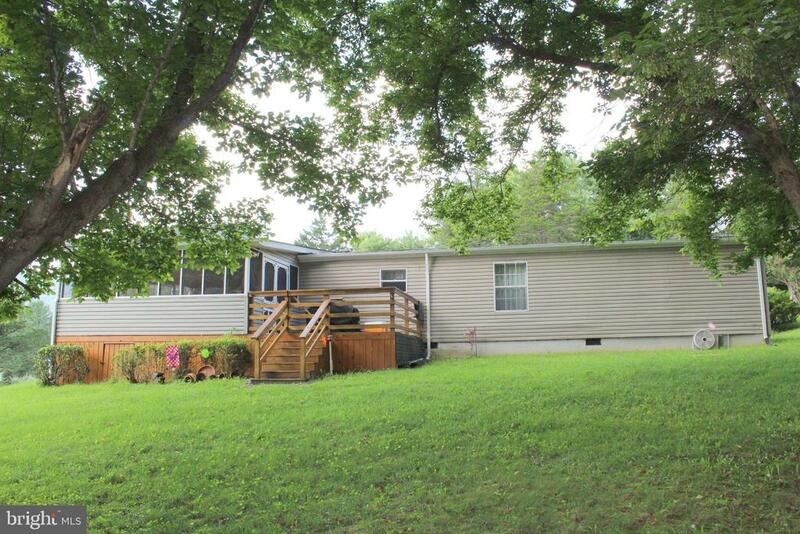 Huge back deck on 3.4 acres, what more could you ask for?" "Country living close to town in a highly desired area. This 4 bedroom, 3 bath home features a large family room with country view. Beautiful reclaimed wood flooring graces the main and upper floors. Two bedrooms, including the master and one bath complete the upper floor. The finished basement boasts a rec room, large bedroom, bath, bonus room and storage/workshop room.This beautiful home and property have been well maintained. With low maintenance brick and vinyl siding exterior and double pane windows, this home should provide comfortable efficient living for many years. In the country, close to town, desirable area, what are you waiting for?" "Fall in love again; with the great outdoors, with the stars, with nature in all its glory. Want a weekend getaway? A country retreat with land, privacy and peace? An Air BNB or VRBO Rental? Look no more. Relax on the front porch in the morning, eat dinner on the back deck and listen to nature. Turnkey custom log cabin will wow you. Hardwood and ceramic tile floors throughout. Myriad of easy-care windows bring natural light. Two separate living areas allow for in-law/au pair or guests for the weekend. Two upper level decks and a full-length stamped concrete patio provide choice of outdoor enterall overlooking the valley. Main floor is open concept living with dining room, kitchen and great room. Top of line woodstove heats entire home if desired but all the daily living amenities are here too! Open the windows for a refreshing cross-breeze! No HOA, approximately 10 minutes to 340. Luray to the south and Front Royal to the north, Shenandoah National Park, Appalachian Trail, Luray Caverns, Skyline Caverns, kayaking, canoeing and more all within minutes." 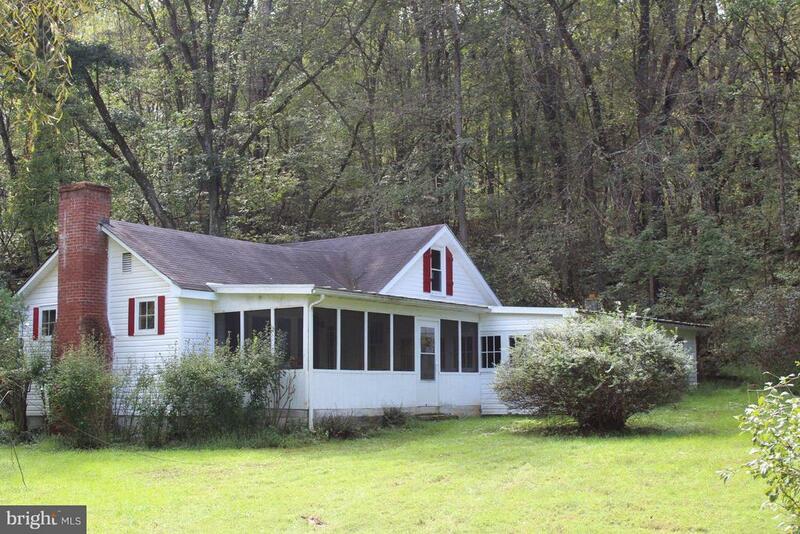 "You will enjoy the sounds of the stream from the screened porch of this Farm House located in Northern Page County. Great Full time or weekend home. Features include 3 Bedrooms, 1 1/2 Baths, Living Room with fireplace, Den, Dining Room, Eat-in Kitchen with woodstove. There is also a walk in attic area." "Wonderful full time residence or weekend retreat. 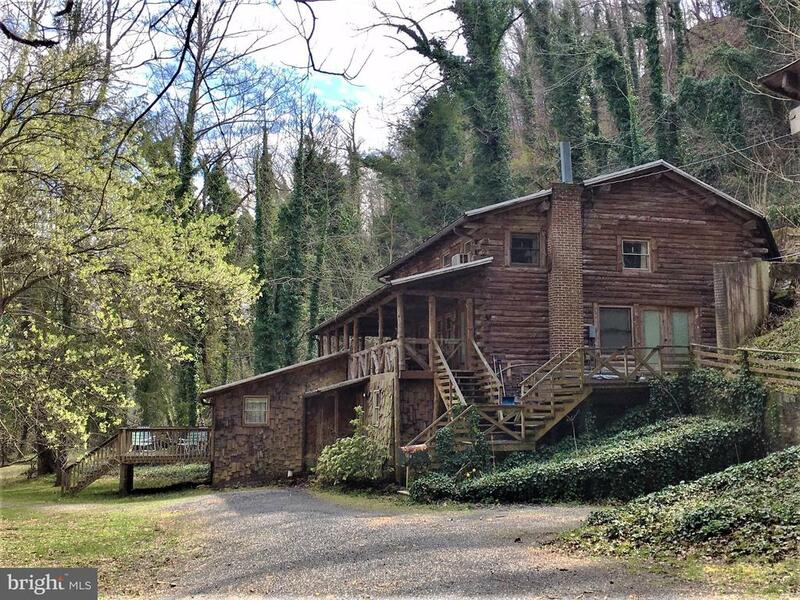 This 3 Bedroom, 2 bath home has Shenandoah River Access where you can canoe, kayak, swim and fish. You will enjoy the large screened porch and deck. Nice 12x16 building with electricity. This property consists of 4 lots. Tax Map ID#'s 7B2-4-D6, D5, 7B2-3-C27 and C18 totaling 2.36 acres."